Gnome Cottage is a quaint and unusually shaped building, set in a pretty enclosed garden. 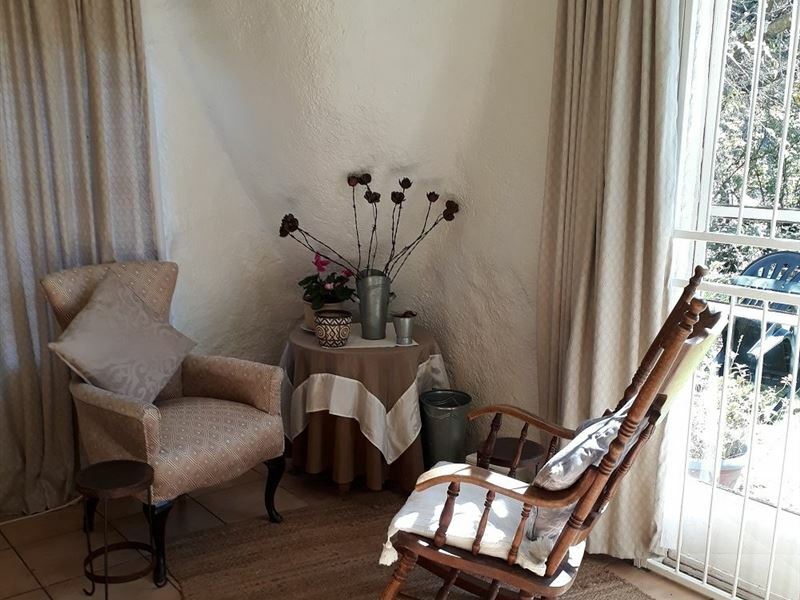 It is a short walk away from the centre of Clarens, with its many art galleries, restaurants and interesting shops. 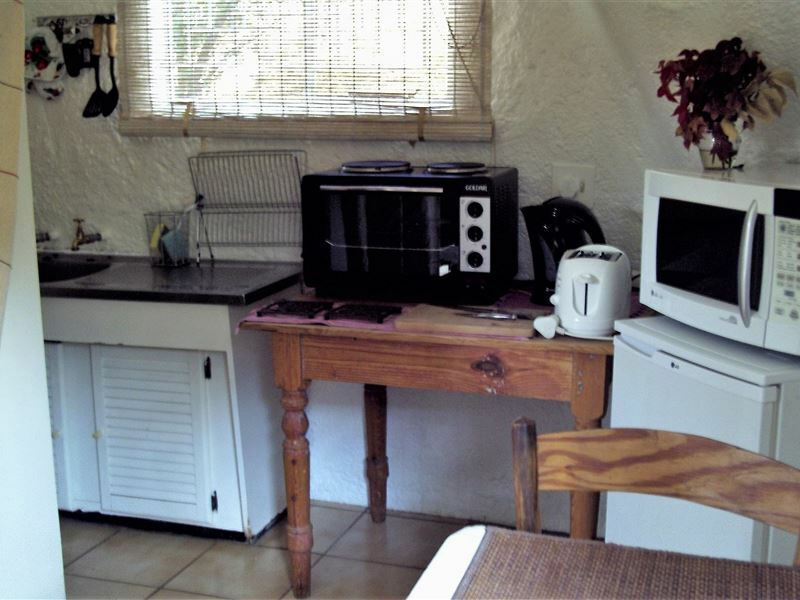 The cottage contains a comfortable double bed, a bathroom, a fully equipped kitchenette for self-catering and a living and dining area. 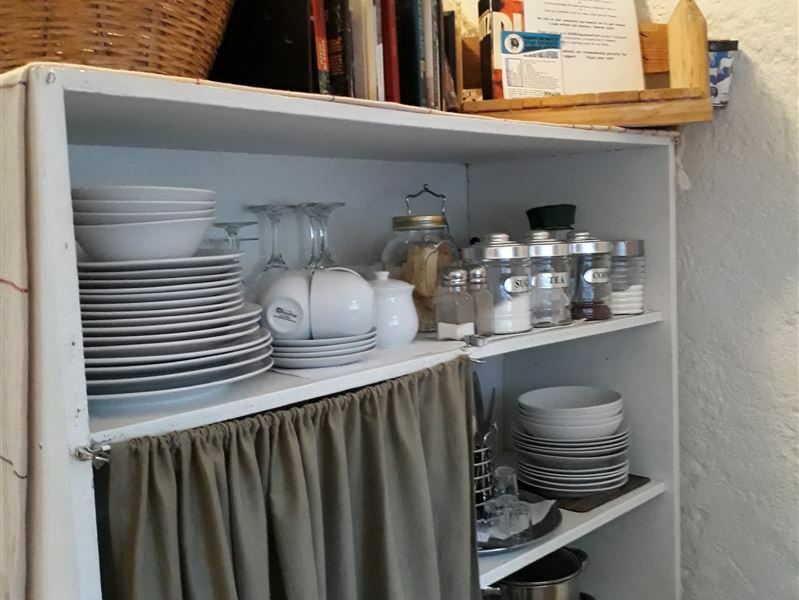 Quality linen, towels, toiletries, heating and electric blanket in winter and a complementary tea and coffee tray are provided. We accept pets but we have some rules - they must be house-trained, have their own beds and not sleep with you nor get on the beds or chairs, you will clean up after them, pay for or repair any damage that they have caused, and to not leave them on their own for longer than an hour as the barking and howling is not pleasant for the neighbours. Cooperation is sincerely appreciated! 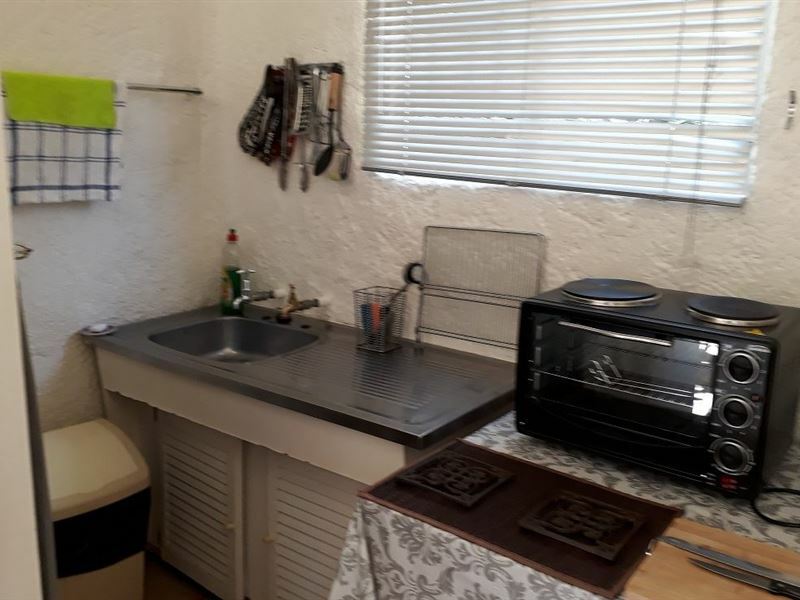 Only a few metres away from the garden is access to a wide choice of hiking trails in the conservation area and not far away are two excellent golf courses, tennis courts, superb trout fishing, historic explorations, dinosaur trails, horse riding and game viewing. Bring your passports and you can enjoy a day trip to Afriski in Lesotho and visit the caves on your way. 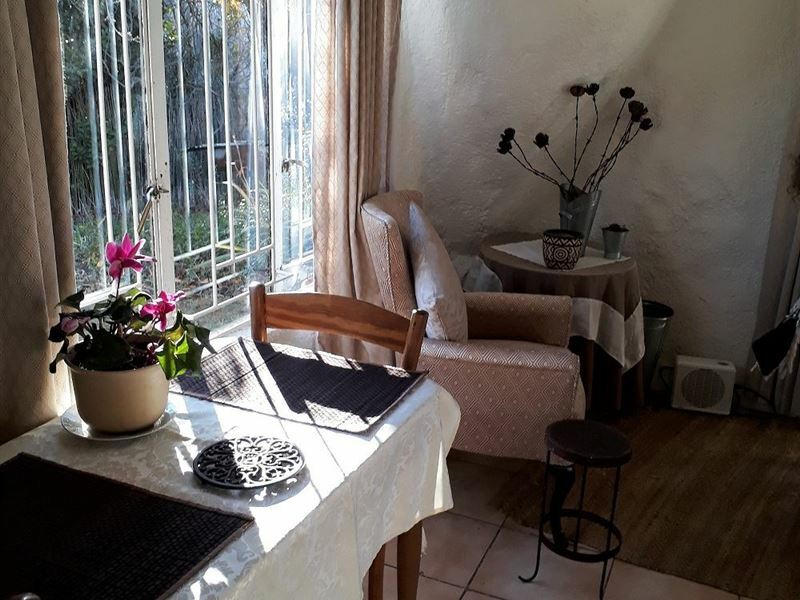 "Fantastic weather, cosy and comfortable cottage"
"Cottage was immaculate, and perfect for 4 days"
"We loved the cottage was well organized. loved the fact that we could have our pets with us." "I really loved the place and found it really great value for money." "Lovely little cottage and garden for the pets. 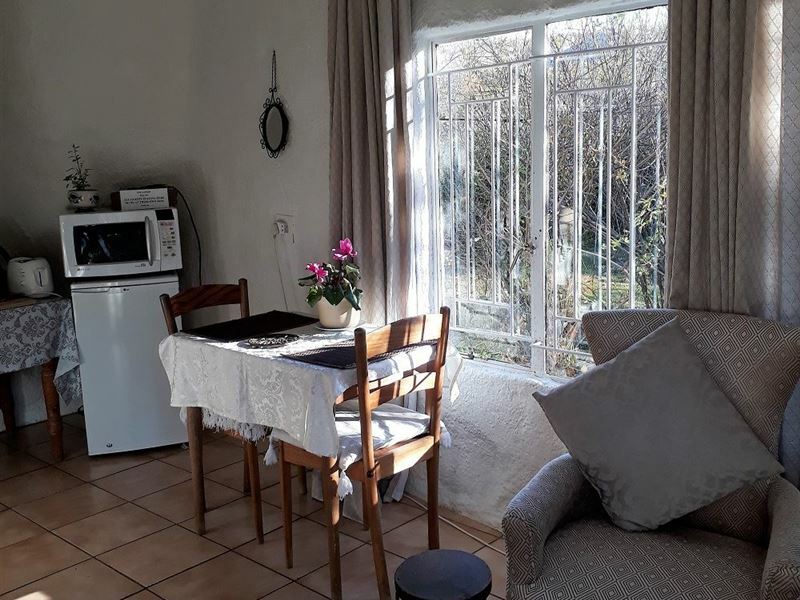 Cottage very close to Clarens inner town.Walking trail very close to the cottage. Walked with our dogs. I will go back to Gnome Cottage again." "A nice and cozy place to stay. Just enough for 2"
"The shape of the cottage is something new"
"We thoroughly enjoyed our stay at Gnome Cottage, the host was friendly and very hospitable. We had a comfortable experience and hope to visit again soon." 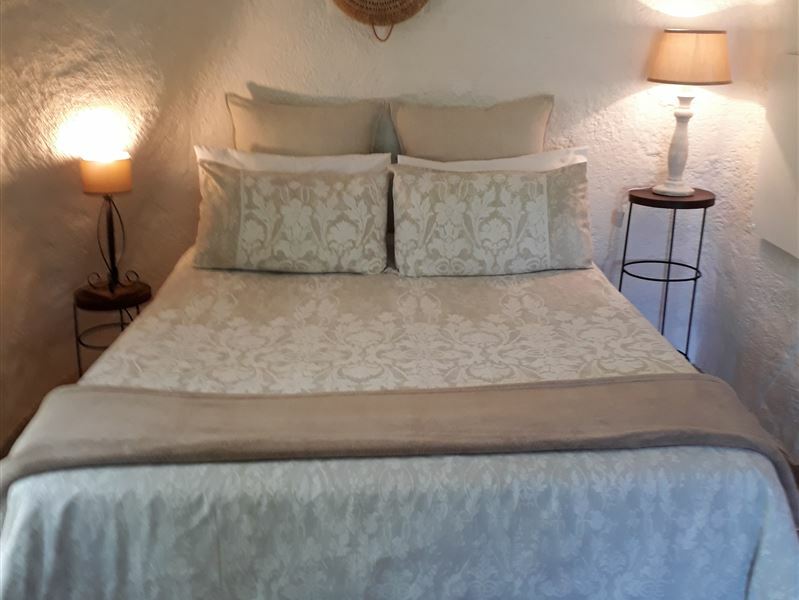 "Unfortunately with the very cold weather in Clarens Gnome cottage was definitely not adequately heated.only once in bed with electric blanket were we warm.we had booked for 3 nights but sought alternative accomodation after the first night and moved.unfortunately a costly experience paying for 5 nights instead of 3 but at least we were more comfortable"
"Quaint cottage in peaceful surroundings"
"Cute but comfortable accommodation. Lovely big garden for the fur-kids to explore. Very affordable."